Widely acknowledged as one of the India's foremost experts in media technology, Senthil has some truly outstanding achievements to his credit. In 1986, he set up Media Artists Film and Video Post-production Centre in Chennai shortly after he graduated from NIT Trichy where he studied Computer Science. Media Artists rapidly grew to become the country’s best sound recording studio. 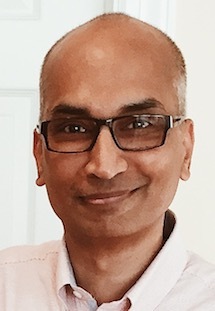 In 1992, Senthil set up Real Image, along with two colleagues, to bring Avid digital nonlinear editing systems to India and later DTS digital cinema sound. He has also supervised editing, audio, computer graphics and special effects for a number of television programmes and worked in various capacities in several motion pictures. Senthil’s expertise has had a far-reaching influence on the industry at large and he currently works on strategy and product development for Qube Cinema. He is based in Chennai.